"The illusion of a free-ranging approach to form and style is one of the most alluring aspects of Migrations a superb album by the composer and saxophonist Gaia Wilmer. ... But be warned not to expect a traditional, folkloric-sounding set of songs. This is not the music of conservatoire either. Rather it is a wonderfully dreamy journey into the mind of a very talented composer." "Water colors of sound dominate the page on this beautifully sonic collection of pastels"
Since 2014, Gaia Wilmer has been writing and playing with her new group, The Gaia Wilmer Octet. With strong Brazilian influences and a creative writing she follows her own musical directions and ideas, mixing Brazilian harmonies, rhythms and melodies into Contemporary Jazz, creating unique textures and colors. In this group Gaia brings together eight amazing and talented musicians from all over the world living in Boston and New York to transform their own experience and life into music, giving them space to showcase their own musicality. The Gaia Wilmer Octet recorded one of Gaia’s original compositions for the Jazz Revelation Records recent album. The group has been performing around Boston and New York for the past three years and just recorded its first album in December 2016 at the Systems Two Studios in Brooklyn with the great Frank Carlberg as co-producer to be released in September 2017 with Red Piano Records. This is a big band project created and directed by Gaia Wilmer initially in the city of Boston and with the idea of playing the music of the Brazilian composer Moacir Santos. In 2016, Gaia started a new project for this ensemble paying homage to the 70th birthday of Egberto Gismonti, Brazilian composer and multi-intrumentalist. This project is active both in Brazil and the United States and has been awarded with one of the most well-know grants in Brazil, from the CCBB foundation, to produce and perform twelve concerts in three different cities in Brazil during the month of December of 2017. These concerts are arranged and directed by Gaia Wilmer and will feature Egberto Gismonti on piano alongside with other 18 musicians from Rio de Janeiro. Gaia also won the Downbeat Award 2017 for Outstanding Big Band Arrangement with the her arrangement of 7 Aneis by Egberto Gismonti. Comprised of seven young musicians with different musical experiences and backgrounds inside the Brazilian music realm, Tungo walks freely between traditional and modern language. In its musical blend of the old and the contemporary, the group incorporates an intensive study of choro and other rhythms and styles that make up the diverse panorama of Brazilian music and culture. With an emphasis on the acoustic and chamber sound, the intention of these musicians is to play beautiful choros carefully chosen and arranged for this line-up. 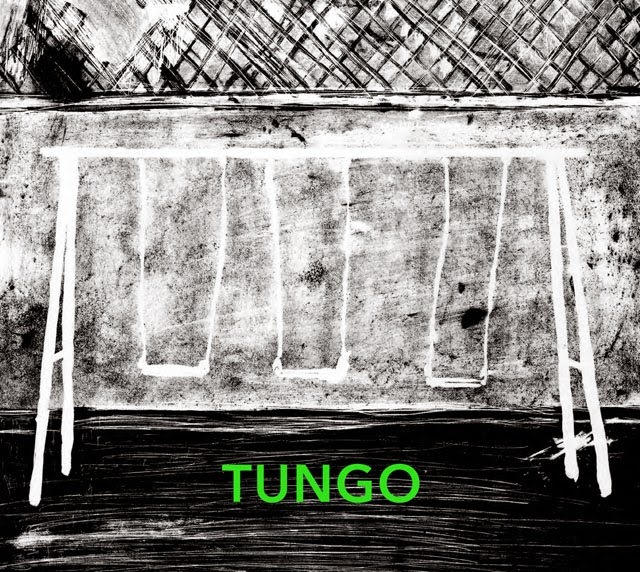 Supported by some of the biggest names of contemporary choro, Tungo released its first album in August 2014 in partnership with one the most important record labels in Brazil for MPB (Brazilian popular music) and Brazilian instrumental music, Biscoito Fino. The album has compositions, arrangements and special guest participation by the prominent composers Maurício Carrilho and Jayme Vignoli, musical direction by Jayme Vignoli, and original compositions and arrangements by Tungo group members. The Heart Breath Ensemble is a union of artists connected by the desire of exploring new sounds and ways of expressing music with the idea of playing a mix of improvised music with the compositions of the great drummer and composer Ra-Kalam Bob Moses. Formed at the beginning of 2016 by Gaia Wilmer, Gustavo D’Amico and Ra-Kalam Bob Moses, the ensemble has the trio as its foundation but, at the same time, keeps its openness to different configurations, creating new opportunities of musical exchange. With three musicians from different parts of Brazil with different accents and influences coming together in Rio de Janeiro, the trio was created with the intention of approaching the richness and variety of the Brazilian music as its main starting point. With a chamber sound, the main characteristic of Rama is the flow between classical and popular music, walking freely through different rhythms and genres of the Brazilian music. Created in 2010 the trio bases its work on the research of the contemporary repertoire of Brazilian composers both from popular and classical origin. Its influences come from classical music to choro, from Bach to Hermeto Pascoal, Villa-Lobos to Egberto Gismonti, Sergio Assad to Guinga, and with original arrangements and compositions by Egberto Gismonti, Sergio Assad and Jayme Vignoli the group is ready to record its first album with Jayme Vignoli as its producer.